Thomas Sullivan, better known as “Luscious” Johnny Valiant to wrestling fans, was killed after being struck by a pickup truck in Ross Township, Pennsylvania in the early morning hours of Wednesday, April 4th, 2018. Ross Township is a suburb of Pittsburgh. Reports indicate Sullivan was crossing a very busy road and was not at a crosswalk. Valiant wrestled for the (then) WWWF in the 70s, capturing tag team gold on two separate occasions, including a 1974 run with kayfabe brother “Handsome” Jimmy Valiant that lasted over a year. 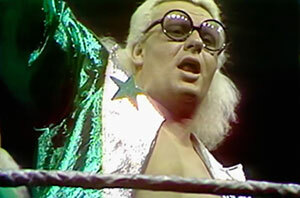 He teamed with kayfabe brother Jerry Valiant to capture gold in 1979. 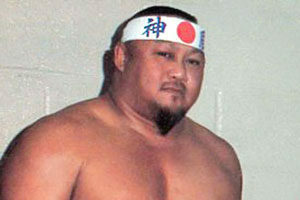 The duo was managed by the late Captain Lou Albano. Arguably, Johnny Valiant’s most recognizable role took place as a manager. After retiring from in ring competition, Valiant managed Hulk Hogan in the AWA, eventually transitioning to the WWF to manage Brutus Beefcake. 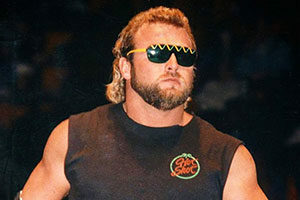 Johnny Valiant would go on to appear at the first three Wrestlmania’s in a mangerial role. Those watching the WWF in the late 80s may also recall Valiant as a fill-in for Bobby “The Brain” Heenan on Wrestling Challenge. Valiant would take over commentator duties when the Brain left the booth to manage one of his wrestlers. Sullivan was rushed to a local hospital, but was pronounced dead shortly thereafter. 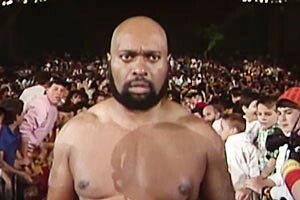 Tragic accidents are no stranger to the world of professional wrestling including the 1999 death of Owen Hart, and car accidents that claimed the lives of Junkyard Dog (1998), Adrian Adonis (1988), and referee Joey Marella (1994). Not only did Johnny Valiant have a notable career in the squared circle, but he also earned some successful credits as an actor. Valiant appeared on the fourth season of The Sopranos as Carmine Lupertazzi’s bodyguard. Various websites also note that he appeared on Law & Order, though I was not able to source any further information. First lacing a pair of wrestling boots in 1969, Valiant reportedly worked for over 20 different territories throughout his career – an astounding feat. In 1996, Johnny Valiant and tag partner, Jimmy Valiant, were inducted into the WWE Hall of Fame. Our condolences to Valiant’s friends and family.